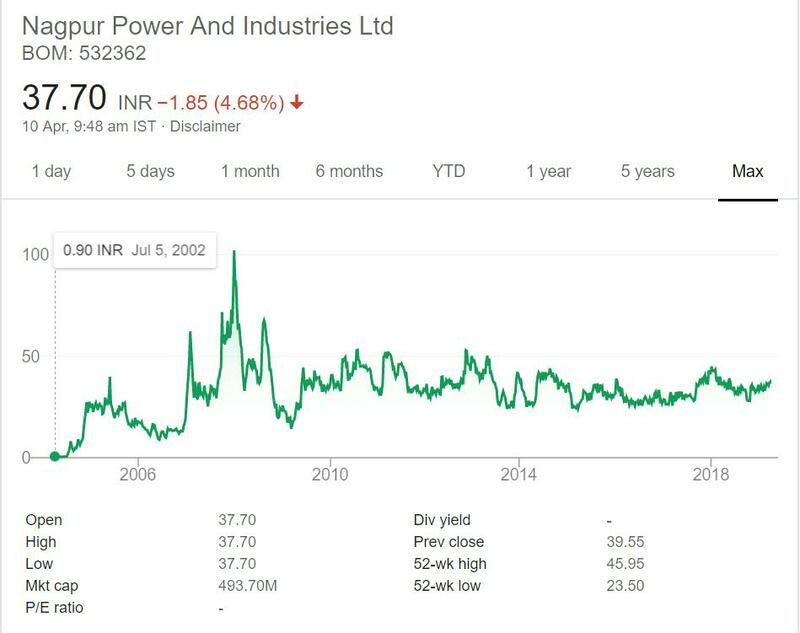 Nagpur Power and Industries Ltd is in portfolio of Bharat Jayantilal. He is one of the top investors in India. The company belongs to Mining sector earlier and now Electrical sector. As per the Company website it is a part of Khandelwal group of Companies. The Company is planning to shut off its earlier business of Metal Recovery Plant and produces Low Ferro Manganese (Slag) through its profitable slag recovery process. It is now trying to enter new business verticals by redeploying the money by monetizing of assets. It has subsidiary Motwane manufacturing company private limited. It is trying to enter electrical sector through the subsidiary company. The Subsidiary products are sold primarily to the power sector and energy intensive industries. On an absolute basis stock has given close to 40 times return in past 16 years or so.However if you see stock is trading in range after year 2010. The trading range is getting more and more narrow with each passing year. It is inline with what we discussed in details section. The Company is in transition phase. That describes the under performance and range bound movement in last few years. Nagpur Power and Industries Ltd is a Electrical Company.It was in mining sector. It is in transition phase selling the asset and trying to invest in new profitable business ventures. It has a subsidiary operating in Electrical sector. Big investors with huge risk appetite can bet on turn around story companies or Companies shifting their focus from previous business to new business areas. But for retail investors I do not think this investment strategy is good. They should invest in less risky proven companies. For this above reason I will not advice to invest in this Company. Moreover there is no idea whether the Company will continue to focus on Electrical business area or may dive into new area.